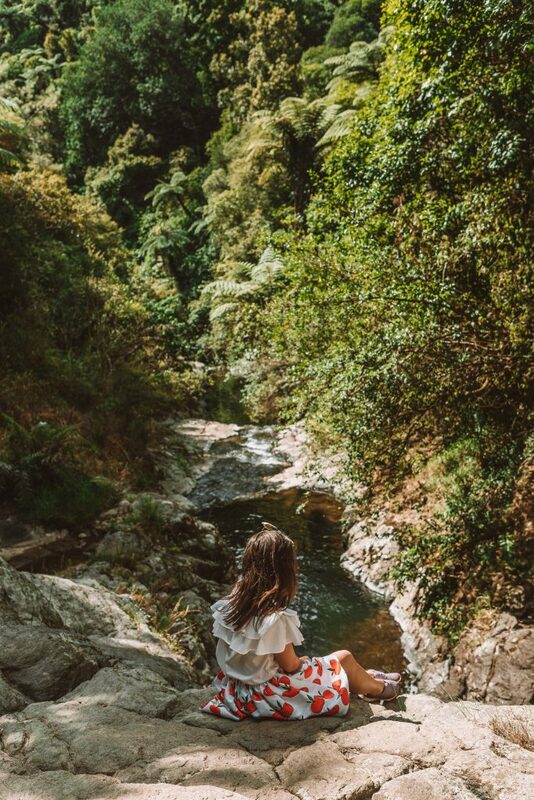 What we always loved New Zealand for, are those endless beautiful places you keep on discovering no matter how long you’ve been living and traveling here. Remember our article about the most stunning waterfalls on the North Island? 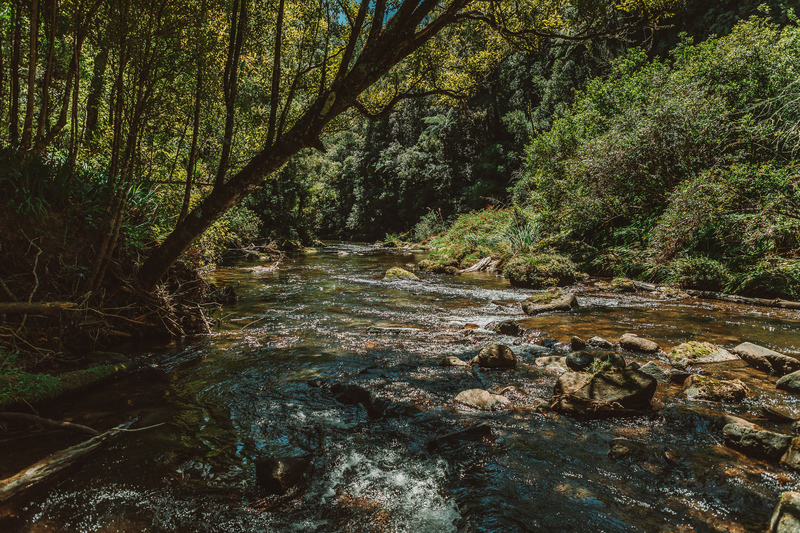 Well, when we thought we have seen the best of the best already, Tourism Bay of Plenty approached us with an amazing opportunity – to film video about the local waterfalls for an advertising campaign they are launching in Wellington. Need we even mention we have never visited all three waterfalls before? So, let’s explore them together! Our personal favourite! This waterfall is perfectly hidden from curious eyes and sits comfortably deep in the forest. The nearest car park is about an hour away from it! But don’t let the distance stop you from coming here. First of all, the walk itself is spectacular! It starts from Rimu Loop Track, allowing you to admire Rimu trees, these incredible forest giants. Along the track you’ll find lots of signs explaining what trees and flowers you’re seeing. The second part winds deeper into the forest, along small hills and you’ll even need to cross a stream once (very easy, you won’t even wet your feet!). The waterfall itself is not very tall but it’s very… hm, can I say ‘really cosy’? With a picture perfect pool surrounded by green stone walls and big trees. Enjoy your lunch after a long walk and don’t forget to go for a swim. The water here, no jokes, is as cold as it was in a glacier lake on South Island but it’s so pure, so refreshing, so energising and boosts your mood immediately! 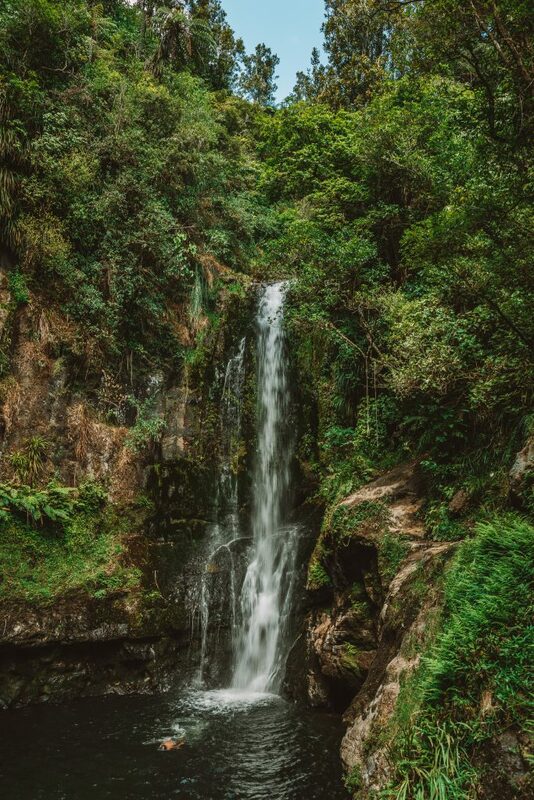 If you’re after a real fitness challenge, this Te Puke waterfall is the one to visit! Jus kidding. 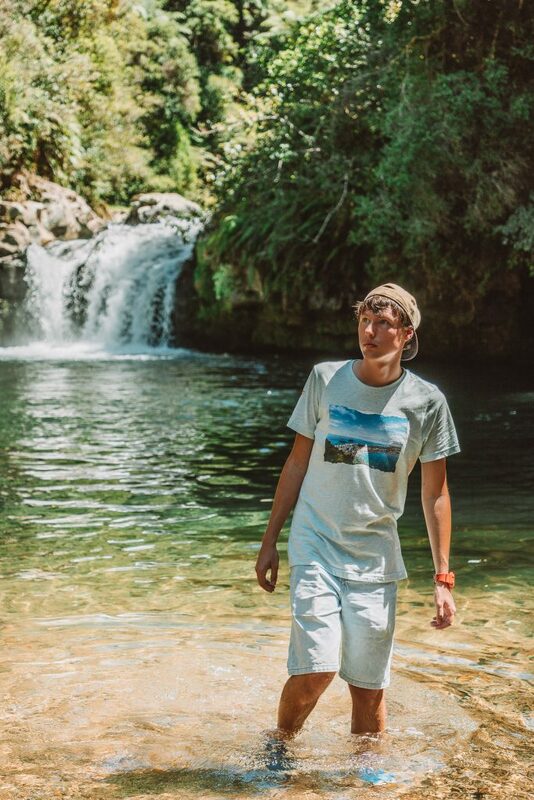 Yes, it’s quite steep at times and has a lot of stairs but you can easily take your kids with you 🙂 The walk is super-short and the waterfall’s pool is spacious, has a wide area that is only knee-high and, as always in the Bay, surrounded by the most spectacular nature. Lovely gem not too far away from Tauranga! 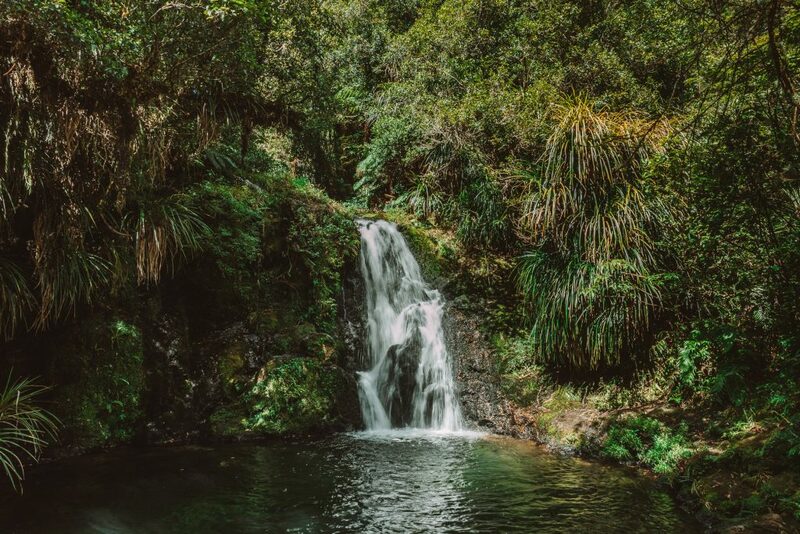 We probably don’t need to introduce this place – if you’ve ever visited Tauranga even for a short moment, you’ve probably heard of Kaiate Falls. It’s not one but a whole set of several waterfalls. All of them are easily accessible and have a few awesome photo spots around. Though because this place is so well-known, it obviously gets very crowded (especially on weekends). 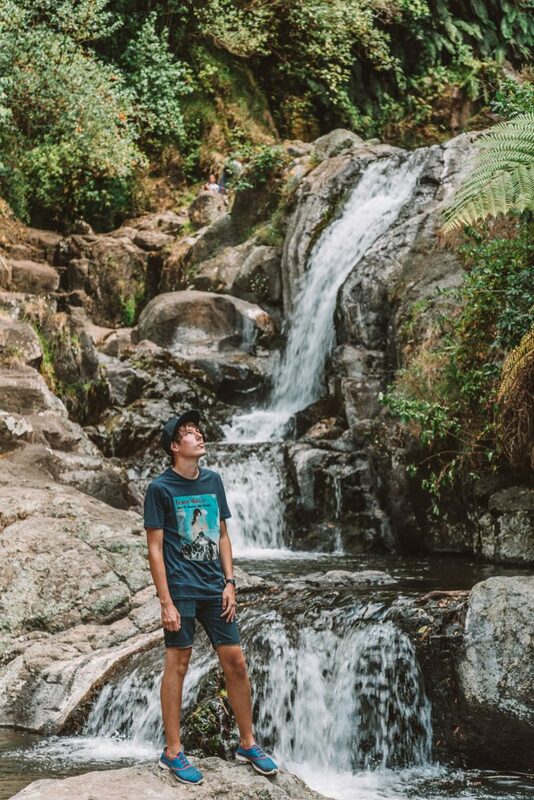 After two first waterfalls, that very so tranquil and relaxing, Kaiate Falls felt a bit like Disneyland with people walking, sitting, talking and taking photos literally on every square metre of the park. 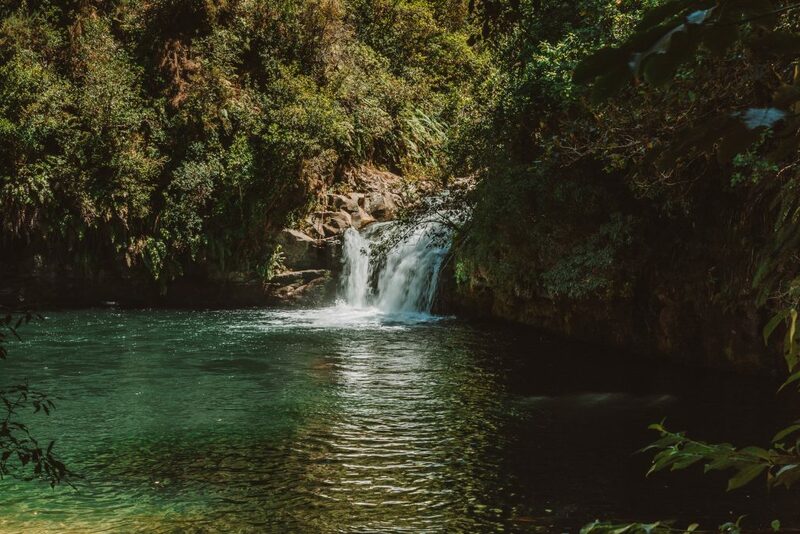 This is the only waterfall out of three where swimming is not recommended due to the high levels of bacterial contamination causing gastroenteritis, diarrhoea and vomiting. 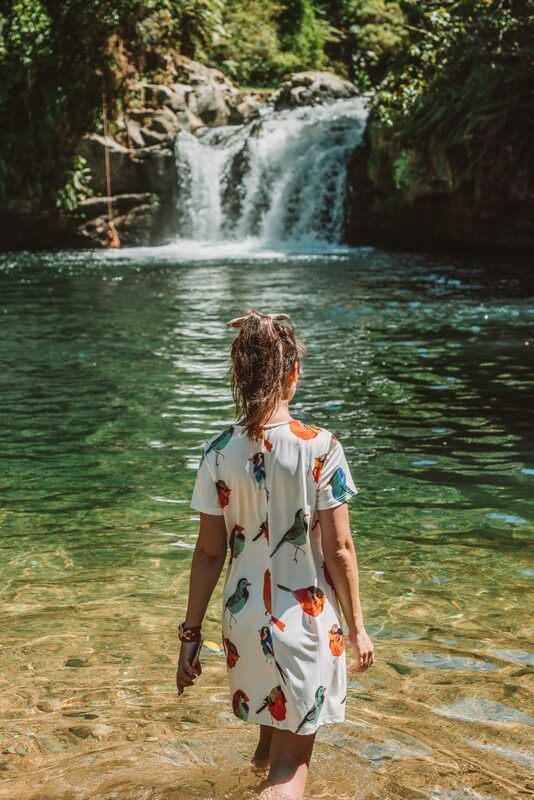 Despite the permanent health warning and lots of warning signs around, people are still swimming in Kaiate Falls, which is quite upsetting and annoying even. Seriously, guys, there are so many awesome swimming spots in the Bay of Plenty, why would you risk your health here? Just come and enjoy the views! You can always swim at one of our gorgeous beaches after.